The latitudinal extension of southern South America imposes a thermal gradient that affects the structure of marine and freshwater fish assemblages and the biology of the species through direct exposure to the temperature gradients or by means of a web of historical and ecological relationships. We have reviewed biological and ecological data of marine and freshwater fishes from the southern Neotropics, including Patagonia, and report several examples of dependence on temperature, from glacial times to today’s climate change. We were able to identify historic and present effects on the diversity of fish assemblages, isolation, southern limits for the distribution of species, and morphological variation among populations. 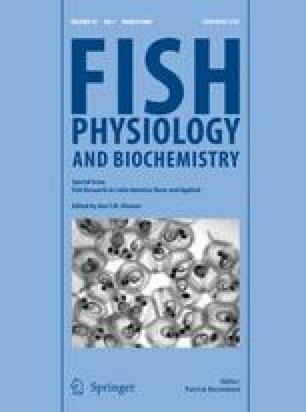 There is a wide range of characteristics that exemplify an adaptation to low temperatures, including biochemical peculiarities, physiological adjustments, and alternative life history patterns, and these appear in both freshwater and marine, and native and exotic fishes. The consequences of stable temperature regimes in both the ocean and thermal streams deserve special mention as these shape specialists under conditions of low selective pressure. At present, habitat use and interactions among species are being subject to changes as consequences of water temperature, and some of these are already evident in the northern and southern hemispheres. We thank the editors for providing us with a vehicle to promote some of our views. We would like to acknowledge the following institutions for granting previous and present projects that have enabled the elaboration of these ideas: Universidad Nacional del Comahue, CONICET and FONCYT (Argentina), Ministerio de Educación y Ciencia and Agencia Española de Cooperación Internacional (Grant CGL2004-01716, AECI, Spain), National Geographic Society (USA), and the NSF-PIRE award (OISE 0530267, USA) for support of collaborative research on Patagonian Biodiversity granted to the following institutions (listed alphabetically): Brigham Young University, Centro Nacional Patagónico, Dalhousie University, Darwinion Botanical Institute, Universidad Austral de Chile, Universidad Nacional del Comahue, Universidad de Concepción, and University of Nebraska. Justina Ponte Gómez kindly helped us with Fig. 1.